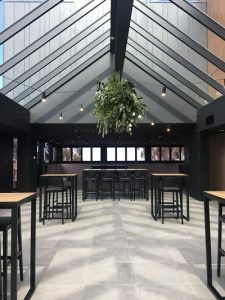 located in Melbourne’s north and only 15 minutes from Tullamarine airport – will officially open its doors to the public. The $35 million Mickleham development is currently in the final stages of completion and is set to be a world-class tourism facility like no other in regional Australia. 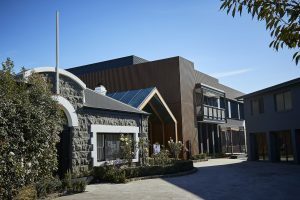 Phase One of the development will see a 250-seat restaurant – Bankvale Run Restaurant –with Executive Chef Matt Coates leading the way along with the restored historic homestead accommodation, 250 guest capacity Event Space, and a working vineyard, farmers market and operational farm producing first class Angus Cattle. The scale of the property and its broad offerings will generate more than 200 jobs and stimulate economic growth in one of the leading developing corridors in Northern Melbourne – whilst focussing on sustainability and protecting the rich history of the homestead – the former home of William Angliss and its location. To celebrate the launch Marnong Estate has released discounted opening rates for the luxury homestead accommodation – starting from only $295.00 per night including breakfast and available from opening until August 31, 2018* *Available seven nights a week and bookings are subject to availability The $35-million-dollar development has revived the existing homestead and established an integrated heritage resort facility that contributes to the local community by providing a unique experience of world class standards. Creating a community space will not only fill a gap in this northern growth corridor of Melbourne but more importantly, it will raise the profile of the region and give its community a local and vibrant destination of which they can be proud. 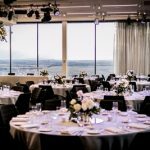 Located on 1,100 acres and only 15 minutes from Tullamarine Airport, Marnong Estate will offer size and scope that is not found in any other hospitality and leisure destinations in regional Victoria making it Melbourne’s one-stop destination for local, interstate and international visitors. The Estate sits high on the hills with expansive views overlooking the valley between Deep Creek through to Emu Creek and the surrounding Macedon ranges and is located on an operational farm producing first class Angus Cattle, as well as a winery. Luxury accommodation will be offered in the historic homestead on the property, that was originally the family home of William Angliss built in the 1860’s. The plans for the homestead will see it restored and developed into a 4.5-star hotel accommodation. Stage Two and Three of the development will also see a new vineyard, micro-brewery, cellar door, coffee roasting house, a spa health and wellness centre, complete with a children’s playground and petting zoo.